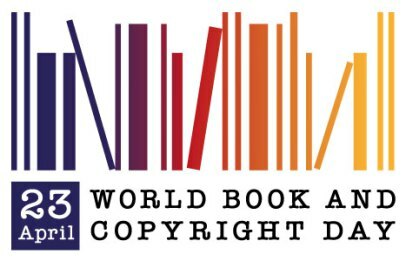 23 April is internationally set aside to celebrate the creative genius of authors via their books and other works across global cultures, and in so doing, to consolidate the links between copyright and books. It is also known as World Book and Copyright Day. When the word “copyright” is used, the seminal essence of the word is embedded in the legal precepts which governments around the world grant creators of works, especially of original works. The creators, typically called “rights holders”, are traditionally granted exclusive rights to their works for a specified time. The principle underpinning this idea is to allow the authors, creators or rights holders to obtain some compensation from their creative genius and thus gain some financial benefits. Copyright, therefore, is intellectual property. The intellectual property belongs to the creator. There is the concept of fair use which, essentially, means that some works could be copied up to a limit. That limit is the boundary where a person wishes to use a creator’s work for pleasure or illustration; but when the copied work transgresses the boundary of fair use, that is beyond the pale and the creator is entitled to compensation. By and large, the length of a copyright is the life of the creator plus 50 to 100 years from the death of the creator. Practically, copyright violation is a civil matter, but there are instances where the violation can be of a criminal matter. In the music industry and in the digital space we hear and see much litigation between big companies which are seeking to establish a space for themselves, and may or may not be infringing the intellectual property of a fellow company. We merely have to think of cellphones of all stripes, and the idea is clear. With the advent of the printing press and as people started to read widely, the notion of copyright took on a new thrust. Charles II of England has much to do about the origins of copyright as we know it today. He was incensed at the unregulated copying of creators’ works and it is from that perspective that he passed a law dubbed the “Licensing of the Press Act of 1662” in the English Parliament. Copyright Day has a rather intriguing link to a number of well-known creative persons who were either born on this day or died on this day. Foremost among these persons is William Shakespeare. It is thought by many that Shakespeare was born on 23 April 1564 and died on 23 April 1616. Now, the Spanish author, poet and playwright who gave the world the Magnum Opus, “Don Quixote”, actually died on 22 April 1616, but he was buried on 23 April 1616. In any event he is part of the celebratory 23 April. As we celebrate this copyright day, the main point to note is that authors and their works are to be protected and cherished. While various jurisdictions wrestle with what is fair use in terms of the copying of works, the legal systems around the world are coming to grips with the scope and scale of copyright. But this day, 23 April, Copyright Day is also best appreciated in that it is a day set aside to promote reading, to highlight the cultural features of books, and in general for all of us to enjoy the pleasure of reading and to help someone who may not be able to read, to start to read. But kernel to all of the activities that one can have on this day, 23 April, is the point that we all should respect the works of others. We should, equally, abide by copyright laws. The creative genius of rights holders should be taken for granted. So let us celebrate this day and, in so doing, respect copyright and creative genius of writers. We of the Eastern Caribbean Copyright Licensing Association (ECCLA), celebrate with others around the world, this Copyright Day.